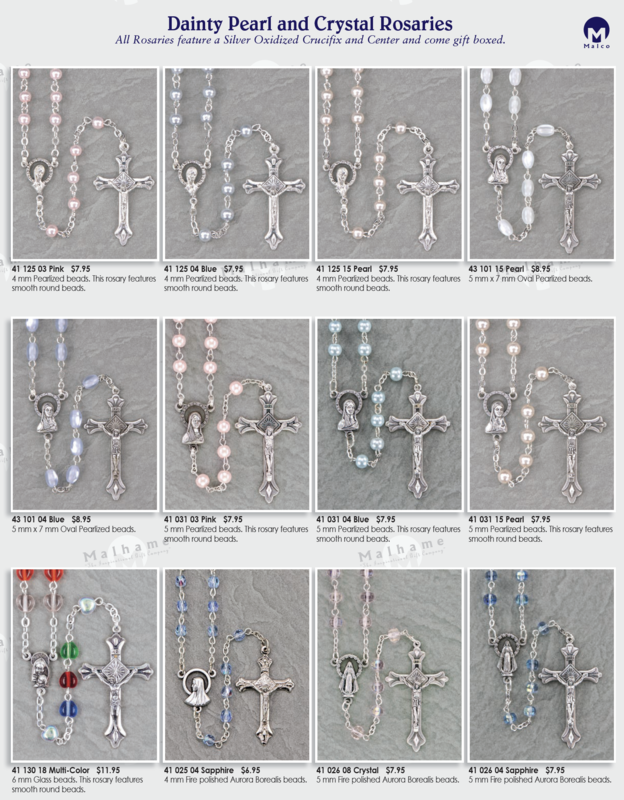 All Rosaries feature a Silver Oxidized Crucifix and Center and come gift boxed. 5 mm x 7 mm Oval Pearlized beads. 5 mm Fire polished Aurora Borealis beads.